combines many functions in a single, portable executable that belongs onto every USB stick. Search and convert text files, instant simple FTP/HTTP server, find duplicate files, compare folders, treesize, run own commands on all files of a folder - it's all within a single tool. 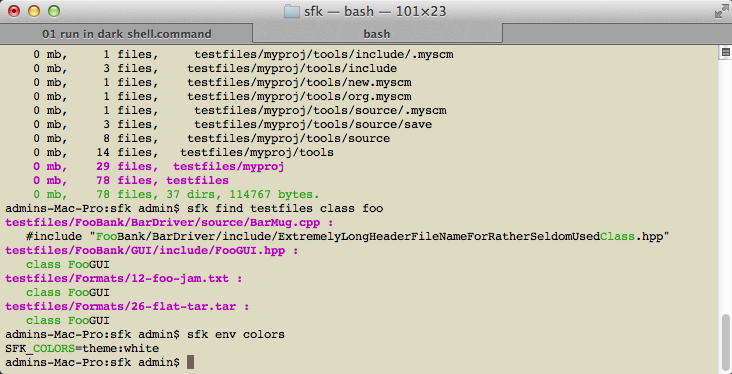 Download SFK for Windows here or from SourceForge. For SFK x64 read more here. You may also download the .zip file with all binaries and source code for Windows (7/Vista/XP), Linux and Mac, the Intel Linux binary for 32 bits Ubuntu, the binary for libc5 systems like DSL, for 64 bits Intel Linux, for 32 bits ARM Linux like on Raspberry Pi, the Mac OS X binaries as i686 DMG, exe or for PowerPC. No installation, instant use. for convenient reading on your tablet, smartphone, or for self printing. Includes a 60 page tutorial for the most important functions. 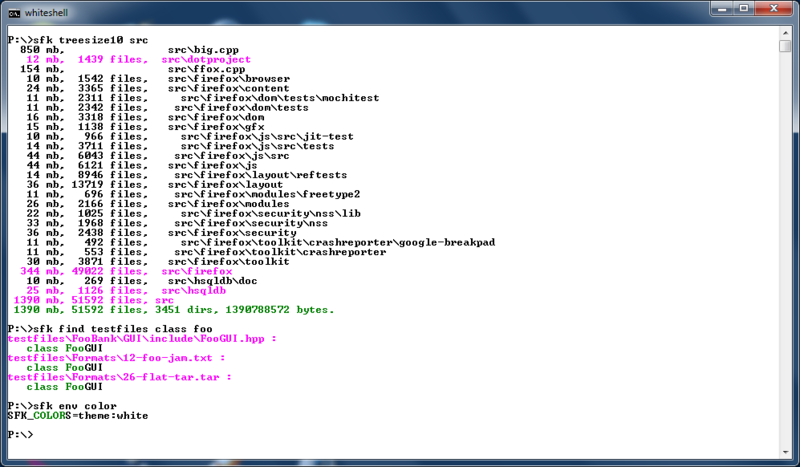 Windows: after download, open a command line (CMD.exe) then CD into the download folder and type "sfk" for the help text. Mac OS X: open the .DMG then control+click on the contained script and select Open. 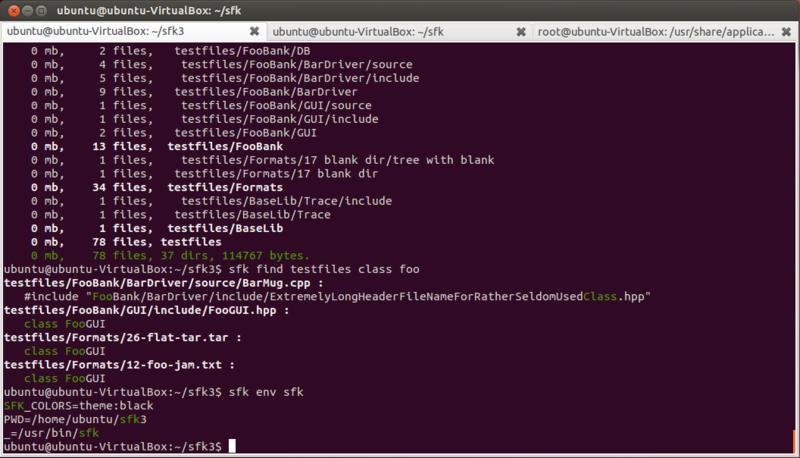 Linux: after download, open a command line or terminal, then rename to sfk like "mv sfk-linux.exe sfk", make it executable by "chmod +x sfk" and type "./sfk"
read .zip, .jar, .tar.gz and .tar.bz2 file contents. Read more on that here. The current version is 1.9.4.3 Read the list of recent changes here. You may place questions in the sfk forums. SFK Icons and example code for linking can be found here.